It’s been a few months since I’ve posted peaks images, but I’ve been climbing and exploring all that time and now have a huge backlog of images. The plan this weekend was to backpack into the Orestimba Wilderness (in Henry Coe State Park) but a foot injury has me home, so it’s time to catch up a bit on photo processing. 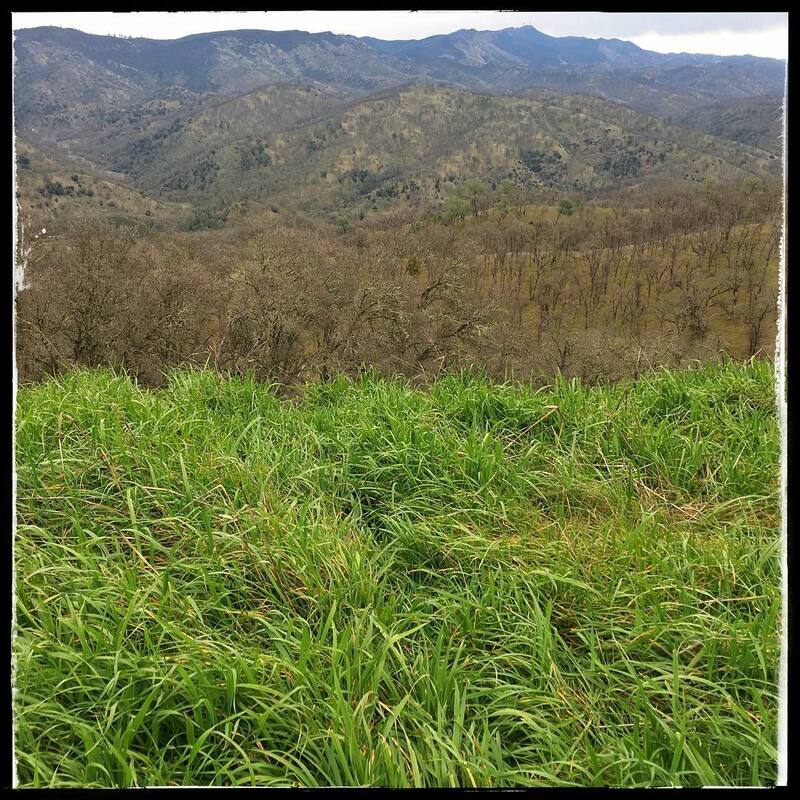 This series is from a February day hike of four hills in the Lake Berryessa area and the Knoxville Wildlife Area in Napa County. The hills had just started greening, it was midweek, and there was no one else about. Here, on the summit of Peak 1120, the bright foreground grass contrasts with the muted tones of the leafless trees beyond. In the distance across the valley is Berryessa Peak, the prominence highpoint of neighboring Yolo County.